Chiral allergy. Baby battery. Tardigrades. Timefall. What on… ‘Earth’(?) is happening to Norman Reedus as Sam Porter Bridges? And… why is the Bionic Woman even here?! 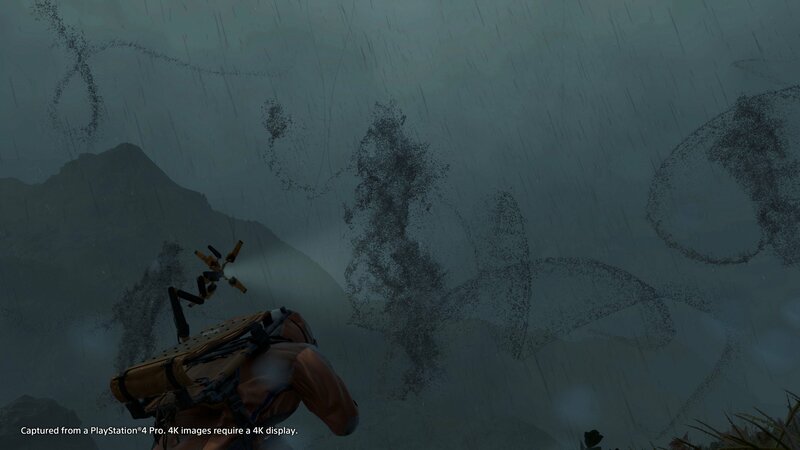 As a reality, nothing in Death Stranding makes sense. As a dream, it’s much easier to make this journey. Rather than greet Hideo Kojima’s latest work as a sci-fi conundrum and the sum of its parts, we’re welcoming uncertainties among the transient and the symbolic. 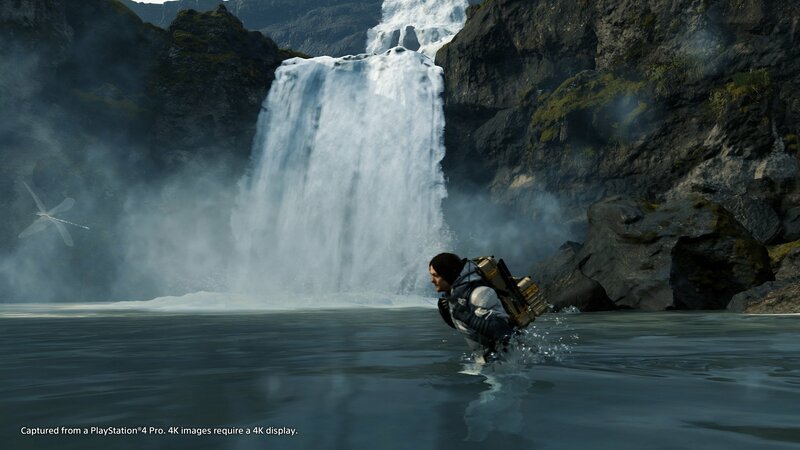 Instead of turning to reason, and figuring out what could be happening in a future reality – say the year 2047 – we’re looking at every shot of the past three Death Stranding trailers and wondering what this represents: The rivers we must cross. The mountains to conquer. Here's what Death Stranding means, as far as the human brain is capable of understanding it. The theory we’re working with is this: Norman Reedus’ character is dead, or near death; much like Jacob Singer in Adrian Lyne’s psychological horror movie “Jacob’s Ladder”. Just like Jacob in the movie, who believes himself to be this postal clerk suffering from a waking nightmare, Sam awakes as a guy whose skillset is “akin to a blue-collar worker” in Death Stranding. That’s what Sam may believe himself to be within his dreamlike state. Possibly Sam is, or was, something else entirely in the waking world. 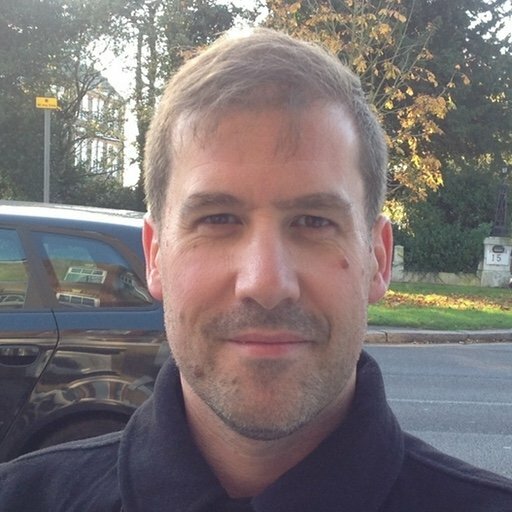 He may be in a similar state to Captain Colter Stevens in Duncan Jones’ “Source Code”; a war hero trapped inside a coma. Perhaps the reason we have the quote from William Blake’s poem “Auguries of Innocence” at the very beginning of the first trailer is significant: “To see a World in a Grain of Sand, And a Heaven in a Wild Flower, Hold Infinity in the palm of your hand, And Eternity in an hour.” When we dream, it is for a matter of seconds, but the experience can seem permanent. We think Sam has a problem to solve, one which is very personal. Whatever this is revolves around the people in the photograph that he carries with him, and at the center of it all is this matter of a baby. Sam works alone; problem solving with a range of apparatus, wearing environment suits. He has all these burdens to carry. In his world, he bears the scars, and is literally falling apart (the scene in which he removes a toenail may mean something too). It’s the baby that powers the gizmo revealing all the evil in the world. It shows Sam the truth about his situation, the way that children often do. Unless there is something more to this that is incredibly deep, the arrival of Lyndsay Wagner at the close of the most recent trailer would be almost ridiculous. Kojima chose Wagner for a very specific reason, something that only she can bring. Aside from being an actress whose career had an impact on Kojima, there’s a detail that the pair of them are careful to protect. Some of the best analysis out there has turned up a couple of key points that clued us into the existential nature of Death Stranding. One is the definition of the word Chiral, and also its original meaning. In the latest trailer, Léa Seydoux’s character mentions a Chiral allergy. The definition of Chiral is something that is not superimposable on its mirror image, a good example being our own hands. The meaning of Chiral is taken from the Greek word “kheir” – hand. We see mysterious handprints crushing into the blackened soil. Handprints cover Sam’s body, very likely branded from encounters with the dark, floating wraiths. 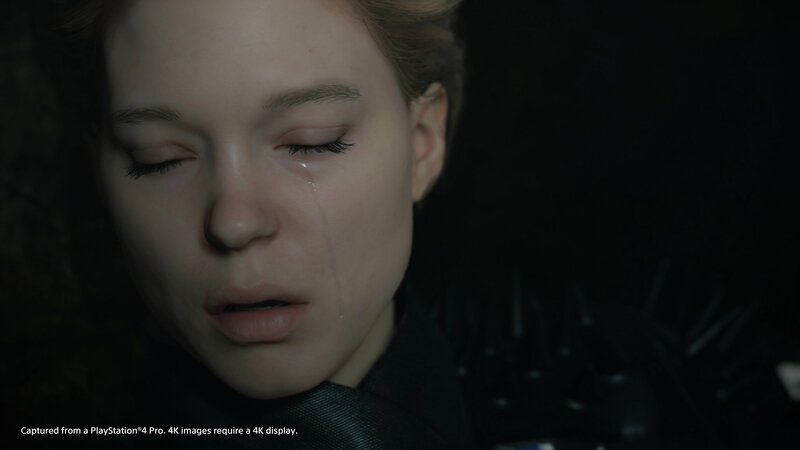 In terms of Chirality, when Seydoux’s character cries, the tear falls from her left eye. With Reedus, it’s his right eye. Is Seydoux Sam’s ‘other half’ somehow? Is she the pregnant girl that we see in the photograph? When she asks Sam, “Wanna come work for me?” to which Sam replies, “‘I can’t help you with that -- I make deliveries, that’s all,” we think there could be more to this than just a guy who prefers to continue with his own daily routine. One more question hanging over the issue of Chirality, relating to the handcuff that Sam is always wearing. He doesn’t seem able to remove this. Who, or what, is he a prisoner to? Almost certainly the dark soil is symbolic of fertile ground, and a means to remind us of the brevity of time. Wherever it rains, plant-life grows at a rapid pace before dying just as soon. It ages the skin of folk trapped in this realm. Protective clothing is worn to guard against it. 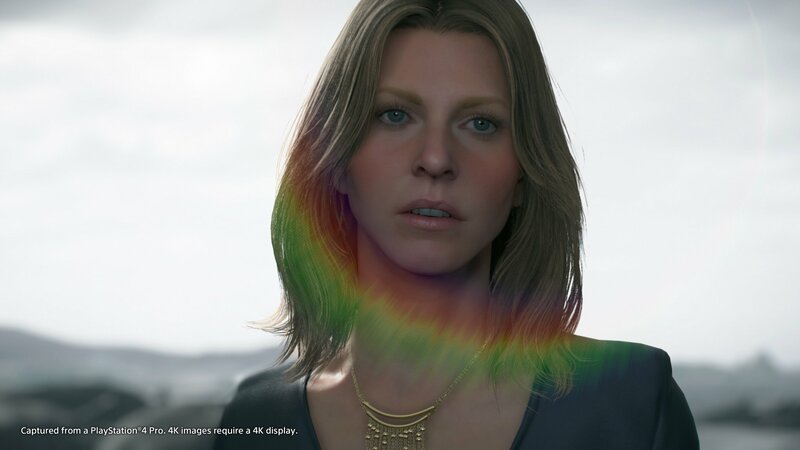 When Seydoux’s character comments on the rain, after a droplet smudges Sam’s photo, she says, “The Timefall fast-forwards whatever it touches, but it can’t wash everything away. The past just won’t let go.” We think she may be referring to Sam’s deeds in life, and what his memory means to others. 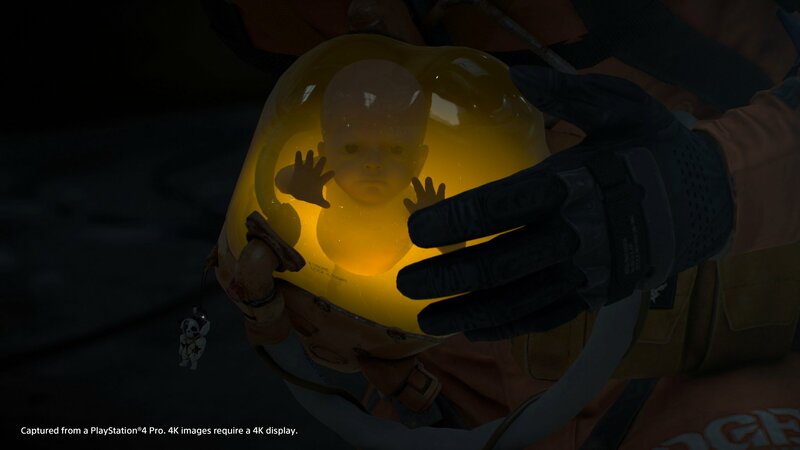 When anyone cries in Death Stranding, we’re going to accept Kojima’s own comments about Sam: “that’s really only because he’s sad right now.” We can’t shake the image of Sam clutching the baby from trailer #1, those tears of loss. We’re not onboard with the idea that Death Stranding has anything to do with Metal Gear Solid directly. However, we are strongly inclined to believe that similar themes are being explored that are important to Kojima. Chiefly, the commentary on war and those people whose lives are destroyed by it. If the baby motif isn’t referring to the tragedy of an infant death, perhaps it mourns the loss of the inner child, or as the Mike Oldfield song “Nuclear” so poignantly refers to, “Deep inside, The abandoned child.” Around Sam’s neck are what appear to be several dog-tags. Did they belong to his fallen comrades on the battlefield? We’re quite convinced that Kojima’s “akin to a blue-collar worker” comment is deliberately perplexing. Sam ‘Porter’ ‘Bridges’ was a soldier, and the way he processes his mission inside the dream is by hearing the voices of commanders, which may be his own questions thrown back at him, over the radio. “Can you wait out the rain?” “Nah, they’re closing in on my position.” A blue-collar worker just wouldn’t think like that. We’ll round off by looking at some of the game mechanics as metaphors, and let’s start with Sam being this delivery guy, a ‘Porter’. He’s lugging around all this cargo, from one place to the next, we’re going to assume that these are trials with lessons learned along the way. He’s not always in the same suit, and he owns at least three: orange, blue-grey, and grey. The cargo is delicate and/or private with a message on the seals saying Void if Tampered. We know that death is not permanent, and that the mechanic of rebirth is expressed as an explosion that forms a crater -- a “Voidout”. We’ve also learned, via Norman Reedus and Mads Mikkelsen, that the game has “elements of social media” and that gameplay “needs collaboration from different people from different parts of the world.” Are we jointly honoring the memories of fallen heroes? 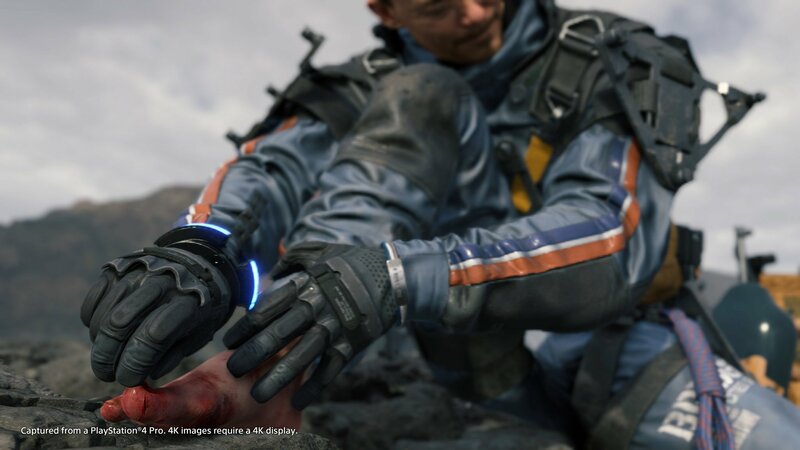 Kojima has recently stated that the goal of Death Stranding is “to reconnect the world,” and that shooting, though possible, is not ideal. It’s almost as though Death Stranding is hoping to make us realize that conflict is futile. On a lighter note, the bug that Seydoux chows down on at the close of the E3 trailer resembles a micro-animal called tardigrade. These have what’s known as cryptobiotic capability, able to withstand extreme environmental change by stopping all measurable metabolic processes until the environment returns to normal and hospitable. Somewhere buried in Sam’s psyche he must know this, which is why the people in his dream are eating them to get by. “A cryptobiote a day keeps the Timefall away.” How very survivalist. If you have any better theories for what exactly is going on in Kojima's latest mind-bending exploration, let us know in the comments. Otherwise we look forward to holding your hand and jumping into the void with you next year.